Displaying an image without having to use energy to refresh it is the holy grail of screen tech, and a team of researchers may just have found a new way to do that. 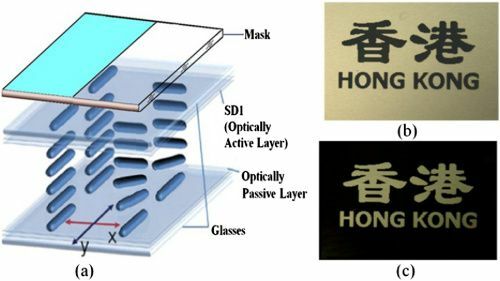 Researchers at the Hong Kong University of Science and Technology have developed a new type of LCD screen that only requires power when when it is refreshed. It's based on optically rewritable liquid crystal display (ORWLCD), an LCD tech that has been batting around the research labs for the past several years. While a regular LCD screen requires a constant supply of power so it can display an image, an ORWLCD only requires power when an image is first displayed. After that, the power can be turned off and the image will continue to be shown on the screen. That is really quite similar in concept to an E-ink screen, but unfortunately ORWLCD tech also shares one of E-ink's weaknesses; they're both limited to grayscale screens, and not the 3 pigment color screen you expect to see on LCD screens. While this tech is interesting, I'm not sure what value it adds or if it can do anything that E-ink can't already do. But if it could display color, that's another matter. I have much higher hopes that we will one day see JDI's solution to the LCD power problem hit the market. For the past few years Japan Display has been working on a way to add a tiny bit of RAM to each pixel in an LCD display. The idea here is that the RAM would reduce the power requirements from the full power required to constantly refresh the screen multiple times a second to a lower level which would provide just enough power to keep the screen from going dark. JDI's tech could prove useful in smartwatches and similar products where battery power is at a premium, but I don't know that it is being used anywhere yet. If this display tech enables refresh rates typical of modern LCD screens, rather than the 0.5 FPS or so of e-ink, it’s already a great leap forward, and may succeed where the latter has failed. Then again, if you refresh the screen 60 times a second, you lose the economy advantage… So much for magical tech that can give us all advantages and no downsides. better pdf handling (faster pinch zoom?) would be its killer application.